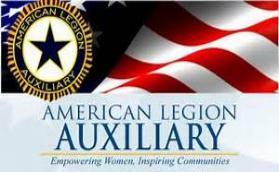 Manteno American Legion Auxiliary Why Join? about America,our fellow veterans, our families and our children. God, our Country and our Community. Our Post needs you now. such as parades, memorials, dedications, etc. Our Post needs you now. AMERICA NEEDS YOU - JOIN NOW! 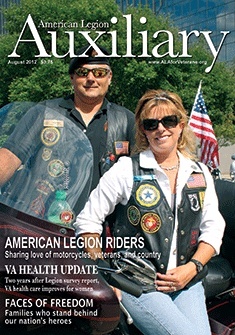 As a member, you will receive The American Legion Auxiliary Magazine. ALA Member Benefits—There’s more in it for YOU! our partnerships with Gallagher Benefit Services Inc., USAA and several other companies. New Member Benefits from Gallagher Benefit Services, Inc.
Companies for the seventh time! are underwritten by Hartford Life Insurance Company. Home Office of both companies is Hartford, CT 06155. 2 Ethisphere Institute 2008, 2009, 2010, 2011, 2014, 2015. Underwritten by Hartford Life and Accident Company, Hartford, CT 06155.
you have decided to pay your own Long Term Care bills. Protect yourself with Long Term Care insurance. to meet health or personal care needs over an extended period of time. Visit http://education.ltcr.com/ala or call 1-800-616-8759 for more information. To sign up for Careington Dental & Vision, click here and select Dental & Vision from the drop-down menu. provides excellent customer service and ongoing care to members and their families. members have access to great coverage, discounts, and years of free services. lower the risk of disease and injury and improve quality of life. Call 1-800-286-6149 or visit hearinamerica.com/ala and register for your hearing benefit. A Simple, Stress-Free $500 Cash Rebate for American Legion Auxiliary Members! dealers, theme parks, national attractions, concerts, and events through Abenity. for the Auxiliary’s Abenity program. purchases and keep an active account. Call 855-291-8252 or visit www.USAA.com/ALA for more information. generic drugs at thousands of participating pharmacies nationwide. Call 800-700-3957 or visit www.scriptsave. National. Go Like a Pro. For more information call 877-833-9484 or visit http://legion-aux.sirvahomebenefits.com. approvals rendered on individual credit qualifications. Allied Van Lines – Members receive competitive discounts on interstate moving, packing, and storage services.  Dell Computers—Savings on computers and software. of charge, public education programs on Arthritis, Bone Health and Osteoporosis. those with arthritis and their significant others. Click here for an informative brochure. will be sold or endorsed at any time. To schedule either an Experts in Arthritis or Fit to a T session in your community, visit the USBJI website at www. usbji.org or contact Mary Ellen Hendricks, at usbji@usbji.org or (847) 430-5052.